I’ve been on the look out this week for recently published tea cosy’s to share, and I came across this adorable one from Suzyn Jackson Gonzalez. Suzyn explains that this cosy was based on a shirt that Sherlock Holmes wears in the BBC series. I just totally love a tea pot in a button up cardigan! 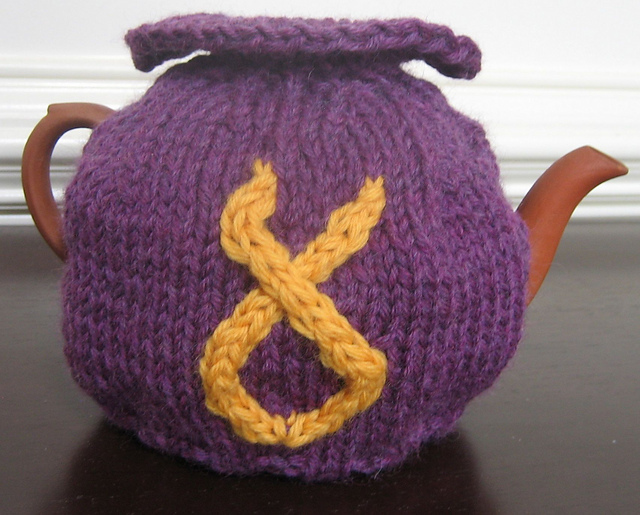 The tea cosy is actually knit in the round and the buttons are non functional. Suzyn has written the pattern out in full and has included a chart for the coded number on the back, and for the collar shaping. It’s a very well written and thought out pattern, and looks like a lot of fun to make! On the tea front, this week I am mainly drinking Cosy Earl Grey – Fairtrade Organic Black Tea with Bergamot. It’s delicous, refreshing, fantastic with a slice of lemon and absolutely perfect for those muggy days we seem to be having a lot of at the moment. Currently our tea is only available online and in cafes – but we are looking to start stocking deli’s, health food shops and knitting shops! If you would like to stock Cosy Tea or buy it from a shop near you, then please use the comment form below or send us an email with the name and address of the place where you would like to purchase from. This entry was posted in Tea Cosies. Bookmark the permalink. Hey – thanks for the shout-out! Very disappointed to find that the pattern isn’t actually free. It costs $2.50USD. Could you please change your text so that other people don’t suffer the same disappointment? Apologies for the very long delay in replying, Cosy’s blog was inactive for a few months. 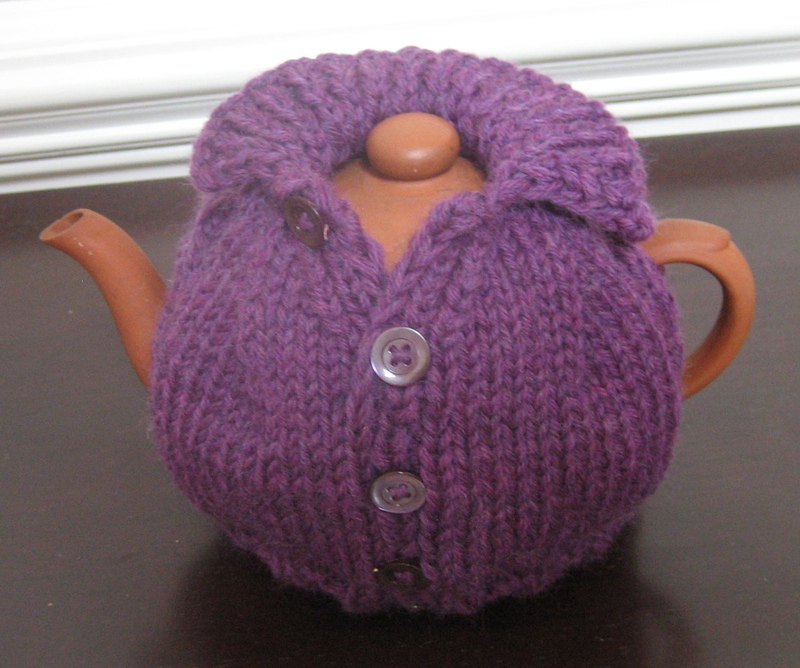 i would like to knit this purple shirt tea cosy for my late husband’s memory of Sherlock Holmes he was a devoted fan. would you be willing to send this pattern free so i can put on my teapot so i can look at it everyday and think of him. Thank you! Hi. I’m the designer of this teacozy. Please note that this blog post was written two years ago, and since then I have put a nominal charge on the teacozy. So, please don’t be disappointed when you go to look for it, free.